My work focuses on trace metal cycling and dynamics in the Arctic Ocean. Specifically, I employ trace metal geochemistry as a tool to quantify and examine physical, biological, and chemical processes related to sea ice melt, riverine input, and water mass influence, among others. Within the diverse category of trace metals I focus on dissolved, colloidal and soluble fraction analyses. My goal is to see how trace metals in the ocean respond to the rapidly changing polar environment of the Arctic Ocean and what we can learn from that relationship. Currently, my method uses ICP-MS to analyze for Fe, Mn, Ni, Cu, Zn, Co, Cd and Pb. This work is part of a collaboration with the NSF-supported, international GEOTRACES study. Zhang, R., Jensen, L., Fitzsimmons, J., Sherrell, R., John, S. (in review at Geochimica Acta). Dissolved Cadmium and Cadmium stable isotopes in the western Arctic Ocean. Jensen, L., Wyatt, N., Twining, B., Landing, W., Sherrell, R., Fitzsimmons, J. (in review at Global Biogeochemical Cycles), Biogeochemical cycling of dissolved zinc in the Western Arctic (GEOTRACES GN01). Marsay, C., Aguilar-Islas, A., Fitzsimmons, J., Hatta, M., Jensen, L., John, S., Kadko, D., Landing, W., Lanning, N., Morton, P., Pasqualini, A., Rauschenberg, S., Sherrell, R., Shiller, A., Twining, B., Whitmore, L., Zhang, R., Buck, C. (2018). Dissolved and particulate trace elements in late summer https://doi.org/10.1016/j.marchem.2018.06.002. Hein, J. R., Konstantinova, N., Mikesell, M., Mizell, K., Fitzsimmons, J.N., Lam, P.J., Jensen, L.T., Xiang, Y., Gartman, A., Cherkashov, G., Hutchinson, D.R., Till, C.P. (2017), Arctic Deep Water Ferromanganese-Oxide Deposits Reflect the Unique Characteristics of the Arctic Ocean, Geochemistry, Geophysics, Geosystems, 18(11), 3771-3800. Oldham, V.E., Miller, M.T., Jensen, L.T., Luther, G.W. III, Revisiting Mn and Fe removal in humic rich estuaries, Geochimica et Cosmochimica Acta (2017), doi: http://dx.doi.org/10.1016/j.gca.2017.04.001. Whited, M.T., Hofmeister, G.E., Hodges, C.J., Jensen, L.T., Keyes, S.H., Ngamnithiporn, A., Janzen, D.E. Crystal structures of trans-acetyldicarbonyl- (η5-cyclopentadienyl)(dimethylphenylphosphane)- molybdenum(II) and trans-acetyldicarbonyl- (η5-cyclopentadienyl)(ethyldiphenylphosphane)- molybdenum(II). Acta Cryst. (2014), 70, 216-220. Jensen*, L.,Cullen, J.T., Ball, G.T., Sherrell, R.M. Fitzsimmons, J. N. (2018). Dissolved Fe and Mn along U.S. Arctic GEOTRACES GN01: Effects of scavenging in intermediate and deep waters. Ocean Sciences Meeting, Portland, OR USA. ORAL. Jensen*, L., Sherrell, R.M., Fitzsimmons, J.N. (2017). Dissolved Trace Metal Micronutrients Fe, Mn, Zn, Ni, Cu and Cd in the Western Arctic Ocean (U.S. GEOTRACES GN01). Goldschmidt 2017, Paris, France. ORAL. Jensen*, L., Sherrell, R., Fitzsimmons, J. (2017). The speciation of trace metals Fe, Cu, Zn, Ni, Mn, Co and Cd into the soluble and colloidal phase along the US Arctic GEOTRACES section GN01. Gordon Research Conference & Seminar in Chemical Oceanography, New London, NH. Jensen*, L., Sherrell, R., Fitzsimmons, J. (2017). Size partitioning of dissolved metals into soluble and colloidal phases in the Western Arctic Ocean: Comparison to the Atlantic and Pacific. ASLO Aquatic Sciences Meeting, Honolulu, HI USA. ORAL. Jensen*, L., Fitzsimmons, J.N., Field, M.P., Sherrell, R.M. (2015). Automated offline sample preparation for ICP-MS determination of dissolved trace metals (Fe, Mn, Zn, Cu, Cd, Ni, Co and Pb) in seawater using ESI seaFAST pic system. Gordon Research Conference & Seminar in Chemical Oceanography, Holderness, NH. Jensen*, L. Oldham , V., Luther III, G.W. (2015). Manganese speciation in the Broadkill River estuary. ASLO Aquatic Sciences Meeting, Granada, Spain. March 2018- R/V Trident (1 day) in Galveston Bay. Trace metal sampling as part of ongoing profiling of Galveston Bay. Galveston – Galveston. November 2017- R/V Trident (1 day) in Galveston Bay. Trace metal sampling and filter collection for synchrotron analyses and assessment of Hurricane Harvey recovery. Galveston – Galveston. October 2017- R/V Point Sur (3 days) in Gulf of Mexico. Trace metal sampling and filter collection as part of departmental assessment of Hurricane Harvey recovery. Galveston – Galveston. September 2017- R/V Lithos (2 days) in Galveston Bay. Trace metal sampling and filter collection for synchrotron analyses. Galveston – Galveston. June 2017- R/V Lithos (2 days) in Galveston Bay. Trace metal sampling and filter collection for synchrotron analyses. Galveston – Galveston. 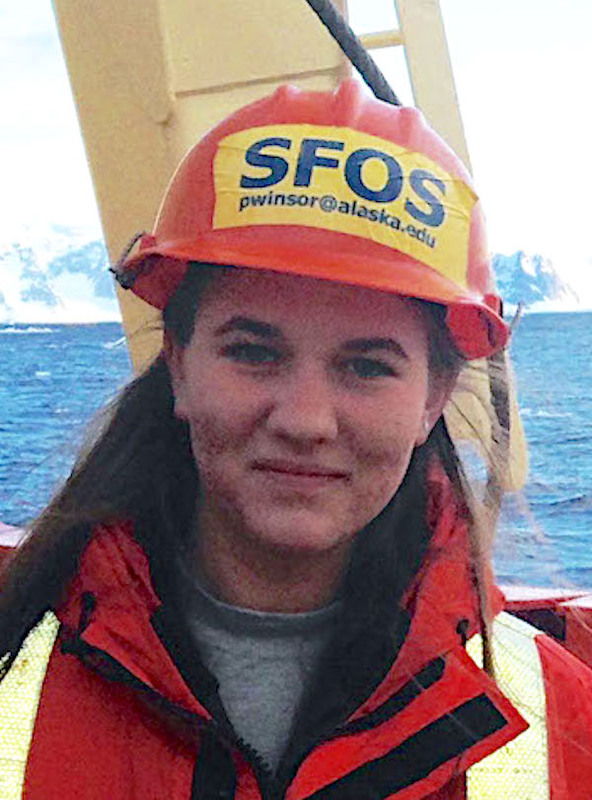 Jan-Feb 2016 – R/V Laurence M. Gould (43 days). Palmer Long-Term Ecosystem Research cruise to the West Antarctic Peninsula. Dissolved/particulate/colloidal trace metal sampling and filtration. Punta Arenas – Punta Arenas. July 2014 – R/V Sharp (8 days). Chesapeake Bay Cruise and North Atlantic transect. Mn(II) and Mn(III) determinations. Lewes, DE – Lewes, DE.